The upcoming visit of Tibetan’s spiritual leader to the United States draws attention to the situation in Tibet. 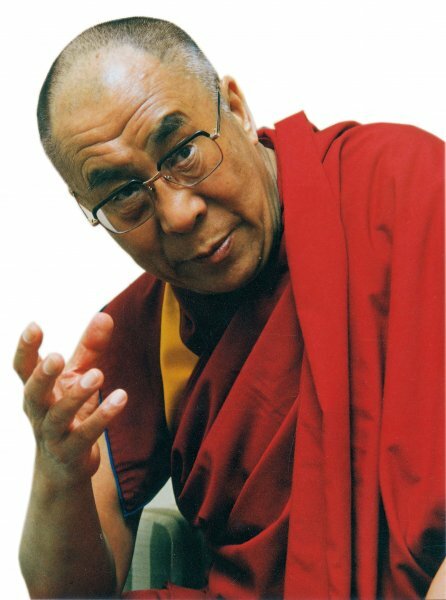 Following a year in which more than 30 Tibetans set themselves on fire to protest Chinese rule in Tibet, the Dalai Lama is to begin a four-day visit to California on Wednesday [18 April 2012]. Some American admirers said the Tibetan spiritual leader's teachings have made them more aware of the problems in his homeland. The Dalai Lama has noted followers in Hollywood, including actor Richard Gere. He also has admirers at the University of Southern California, where he spoke in May, 2011. Recent graduate Jake Bloch was attracted by the Dalai Lama's charismatic style, and the former student is now concerned with the plight of Tibetans. “His visit last year to the USC campus and his regular visits to universities across America have helped to increase awareness,” said Bloch. The Dalai Lama is Buddhist, but his humor and down-to-earth approach appeal to Catholic graduate student Megan Sweas and others. “Jews, Hindus, secular people, atheists, they can all relate to what he has to bring to the table,” said Sweas. Chinese authorities blame the Dalai Lama for the 20 deaths caused by the the self-immolations, mostly by members of the Buddhist clergy. The Dalai Lama blames China's harsh rule for the frustrations of Tibetans that he says have led to the suicides. These students say the Dalai Lama promotes a message of peace. USC's Dean of Religious Life, Varun Soni, said most Americans are united in their admiration. “Both Democrats and Republicans seem to gravitate towards him. "People from different faith traditions seem to flock to be with him. People who are not religious really deeply respect him and read his books," Soni said. The abbot of a Tibetan Buddhist monastery in India, Geshe Jangchup Choeden, is now visiting California and said the Dalai Lama is important to Tibetans on many levels - as a religious, ethical and spiritual leader. “Tibetan people have a deep sense of devotion and trust and faith in him, and it makes him very special. It is kind of unimaginable for the rest of the world what is the Dalai Lama for the Tibetans,” said the abbot. The Tibet issue drew protesters and defenders of the Chinese government during February's visit by China's Vice President Xi Jinping. The focus of this visit by the Dalai Lama is spiritual, but the Tibet issue is not far in the background. The Dalai Lama will speak in San Diego and Long Beach, before moving on to Chicago for appearances April 25 and 26 .